← Where’s Wally? A guide to the galleries that carry my work. Keep it simple! I need to be able to hand-draw this design on a two inch diameter ceramic ornament. Elaborate designs are too hard to reproduce. 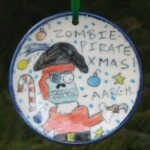 Try to tie in the holiday theme. The Balloon Boy joke below works so wonderfully well because it brings in the holiday verbiage. Make it something that will just get better as the years go on. 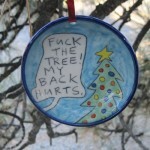 What current event do you want to remember every year as you trim your holiday tree? DEADLINE: Friday, November 20th! We’ll announce the winners here and in an email on Wednesday, November 25th. Want to get some inspiration for this project? 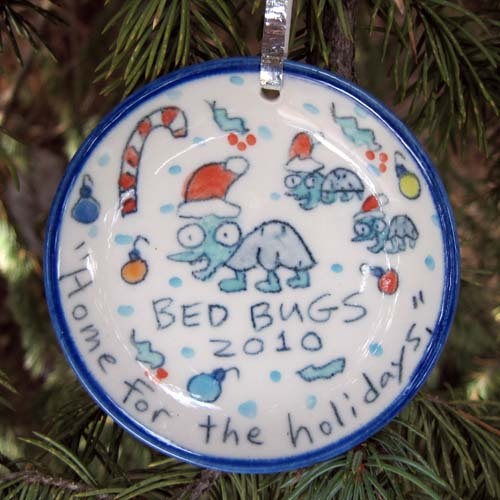 Take a look at my line of ornaments (on sale for just $13.50) in my online store. 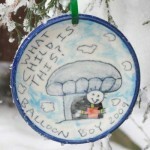 This entry was posted in Uncategorized and tagged christmas ornaments, Tom Edwards pottery, Wallyware. Bookmark the permalink.